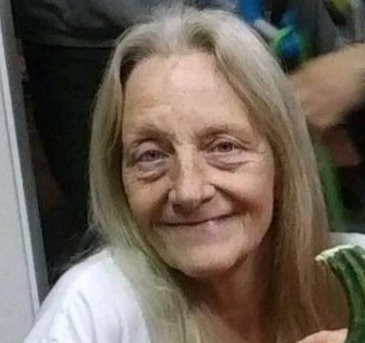 Judie E. Root, 66, of Dubuque, Iowa passed away on March 15th, 2019 at home. According to her wishes no public visitation or service will be held. Burial services will be held in Rock Island Arsenal Cemetery. Leonard Funeral Home & Crematory, 2595 Rockdale Road is assisting the family. Judie was born on May 13, 1952 in Tampa, Florida the daughter of Frank Louis Hoffman and Anna Rosita Brown. She married James E. Root on August 10, 1996 in Dubuque, Iowa, he preceded her in death on March 5, 2006. She formed and organized Terrace Heights Residents Association where she served as President for three years. She received the Iowa State Award for Coalition for Housing and Homeless in 2005. Judie served her community in many ways. She provided shelter for homeless and abused along with being a foster parent. She sat on several boards, commission of housing and human rights, advisor council for legal aid, and board member director of legal aid. She is survived by her children, Becky Jo Sexton, Danny R. Sexton Jr., Donny J. Sexton, Tracey Greve, and Rhonda (Tim) Baule; along with 19 grandchildren and longtime friend Everett Winfrey, Sr.
Judie was preceded in death by her parents; aunt, Jo Davis; son Winston Schatzabel; sister Charline Golden; grandparents Funston and Rosita Brown; her beloved husband James Root and her beloved pet Misty Blu. In lieu of flowers a memorial fund will be established.